So Benedict Cumberbatch's Ancestors Were Slave Owners. Now What? In Barbados, there's a property called the Cleland Plantation. These days it's a place for tourists to go horseback riding, but back in 1728, it was a prosperous sugar cane farm known for being a place of cruelty and brutality, where slaves were literally worked to death. It was owned by Abraham Cumberbatch, the great-great-great-great-great-grandfather of actor Benedict Cumberbatch, and remained in the family for about a hundred years. The Cumberbatches are among many prominent British families who once built their wealth and standing on the slave trade. They weren't just rich, according to a historian interviewed by the Daily Mail; sugar was the "engine" of the British economy and: "They were not just the wealthiest one per cent, but the one per cent of the one per cent." In a 2007 interview, he said his mother had urged him not to use his real name professionally, fearing he could become a target for reparations suits by descendants of slaves. His role as a slave owner in [12 Years A Slave], as well as his part as William Pitt the Younger in Amazing Grace, a movie about slavery abolitionist William Wilberforce, attest to his sense of shame. Indeed, he said at the time of making Amazing Grace that the role was a 'sort of apology' for his ancestry. The answer is not about being individually responsible, through our genes, but collectively accountable for the structural inequalities that have passed down through generations to shape today's world. It is one thing to be universalist, anti-racist and pro-human rights when looking back, but it takes a more reflexive attitude to history to account for the structure of the present through past wrongs, and our place within that historical context. The real challenge is to recognise, and address, how much the privileges of the past continue to benefit some, and wrong others, today. I'll agree with that. The discussing is important. The headlines are important. 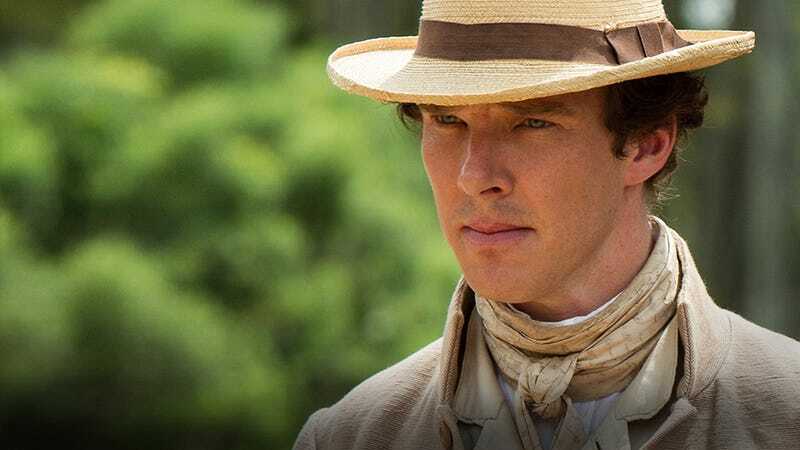 While Benedict Cumberbatch doesn't have to apologize or make a statement about the things his ancestors participated in, what serious harm would be done if he did? While riding high on the popularity of his TV show and his role in an Oscar-nominated film, releasing some kind of message of acknowledgment would keep the conversation alive.